I don't know about you, but I automatically equate something tiny with being cute. And that's definitely the case when it comes to these kids chairs. I've had kids spaces on the brain lately as I'm trying to come up with a plan for our playroom. It's the first room you see when you come in so it's at the top of my list of rooms to finish. You can see what it currently looks like here. It's totally fine as is, but my wheels are spinning with a different plan in mind. 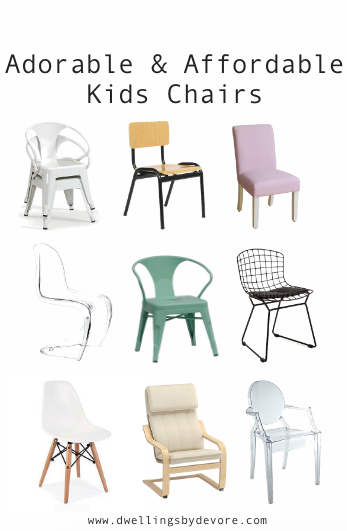 Here are a few of the adorable children's chairs that I've come across lately. They are just too cute not to share!